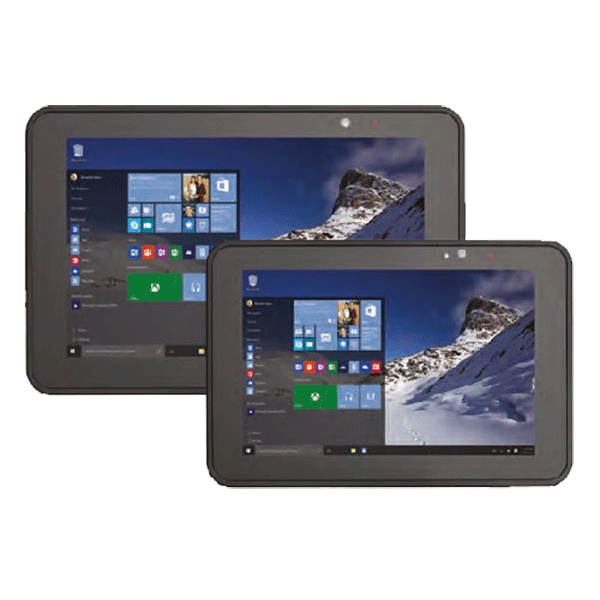 The Zebra ET51/ET56 tablets combine chic appearance with robust longevity, ideal for logistics and transportation, for field staff as well as in stationary retail. The compact 10.1'' and 8.4'' displays with Gorilla Glass are readable in nearly any lighting conditions and may also be operated with gloves. With the Windows IoT Enterprise operating system, as well as the numerous expansion options, both the tablets and the application areas may be expanded. The ET51 offers reliable wireless support, HF-RFID, GPS and Bluetooth 4.2. The rapid Apollo Lake quad-core processor with 1.6 GHz and 4 GB of DDR4 RAM of the ET51 processes large amounts of data at a high speed. For use in the field the ET56 offers full WWAN connectivity with a high data rate in the LTE standard. Order the Zebra ET51/56 with your sales representative today. Give us a call!